This year was the tenth anniversary of the dip - they were expecting around 600 crazy people to jump into lake Ontario on new years day and the organizers really wanted to make a great impression with the attendees. 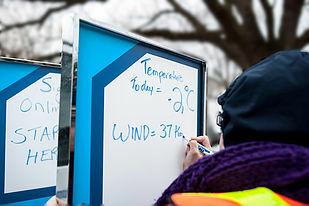 Because some of the sponsorships weren’t committed until fairly close to the date and because the event was happening on January 1st the event organizers were concerned that one printing company may not be able to provide all the types of printed materials they required in the timeframe they needed. MLB was approached to print over 30 different types of signs, banners, and other printed items. 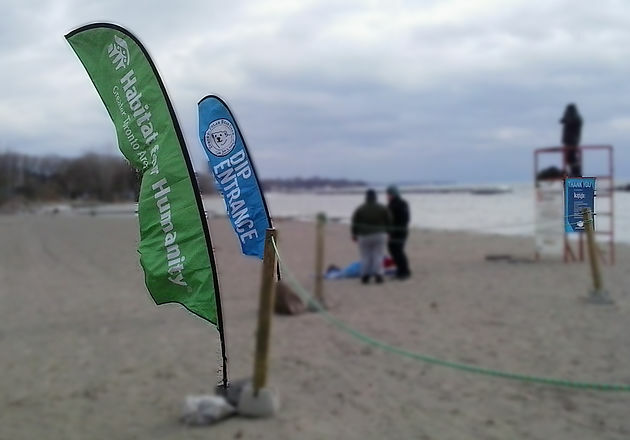 Many of the items were one of a kind and they needed a quick turn around so they could pack up all the items in preparation to descend on Sunnyside Beach on January 1st. We were really pleased with the quality and price of everything we received from MLB. Mick was able to turn around our order in such a short time and the banners, signs and speech bubbles looked awesome! 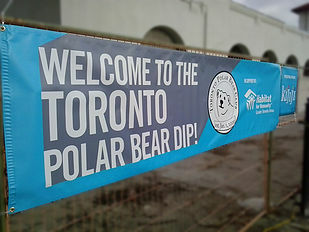 If you’re planning a large public event, the guys at the Toronto Polar Bear Club might have some ideas that you could borrow! Helping attendees navigate the event registration and recognizing sponsors was another priority for the club. 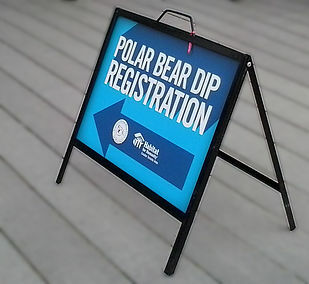 We printed a number of signs on coroplast that were cut to fit into existing a-frames and retail-style sign holders. 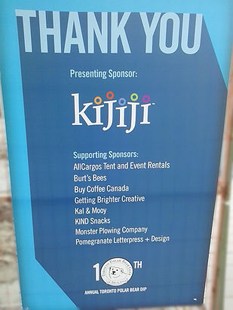 Some of the signs directed people to the parking areas, and registration tables while others highlighted the great sponsors of the event. Adding fun quotes to pictures doesn’t always require a photo app! 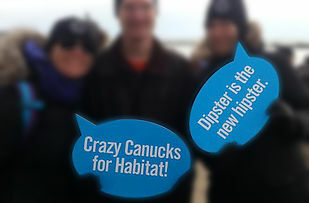 These speech bubbles included a bunch of fun quotes that attendees could hold up in photos at the event. They were printed individually on foamcore and trimmed to the speech bubble shapes. We were happy to be involved in such a great event providing high quality signage they can use for years to come! Congratulations TPBC! 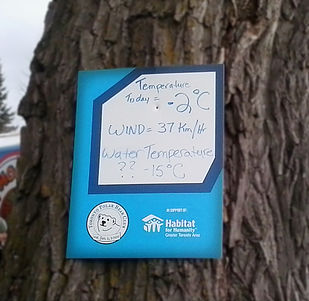 Do you need help with event signage? Call Mick.